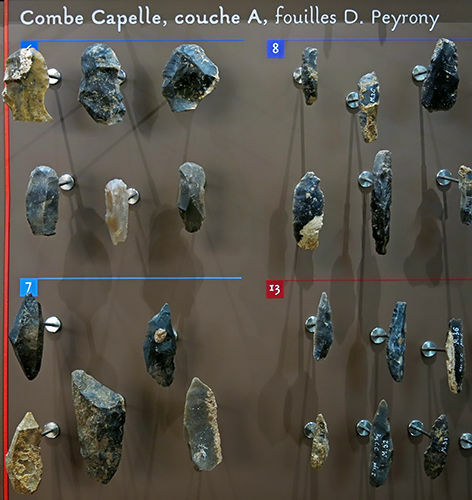 Some years later Denis Peyrony, Peyrony (1943a and 1943b), described the stratigraphy of Roc de Combe-Capelle and Combe-Capelle Bas, where the excavations had been interrupted by the death of Henri-Marc Ami in 1931, and also prepared an inventory of the principal sites of the Perigord. 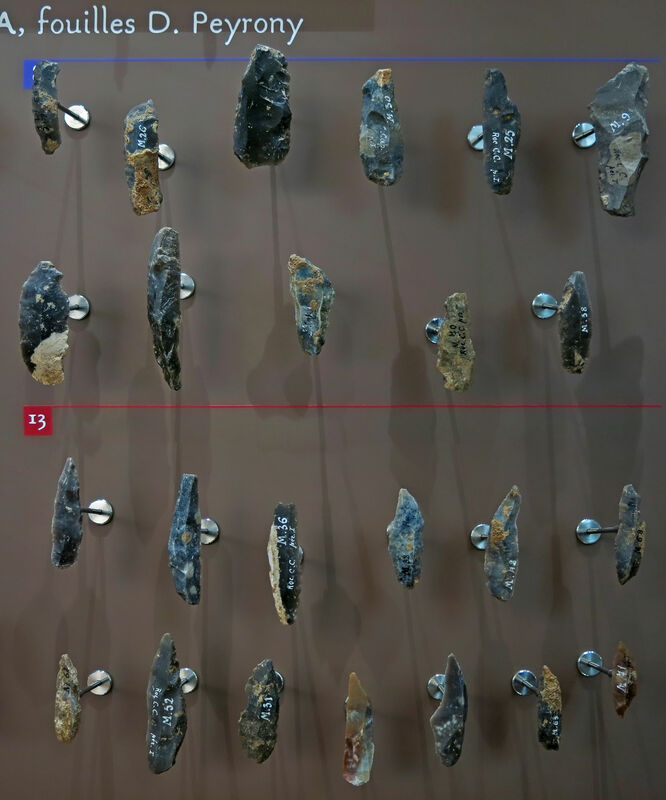 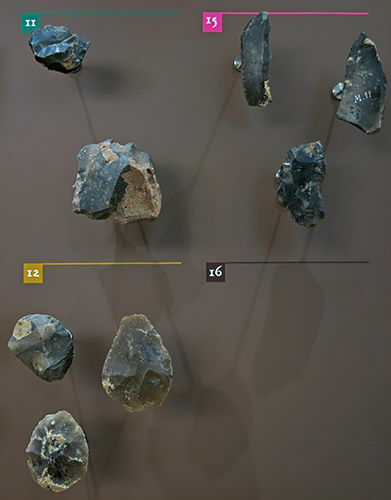 This is a record of the tools found there by Ami and Peyrony, recorded and catalogued by Peyrony after the death of Ami, and on display at Le Musée National de Préhistoire, Les Eyzies-de-Tayac. 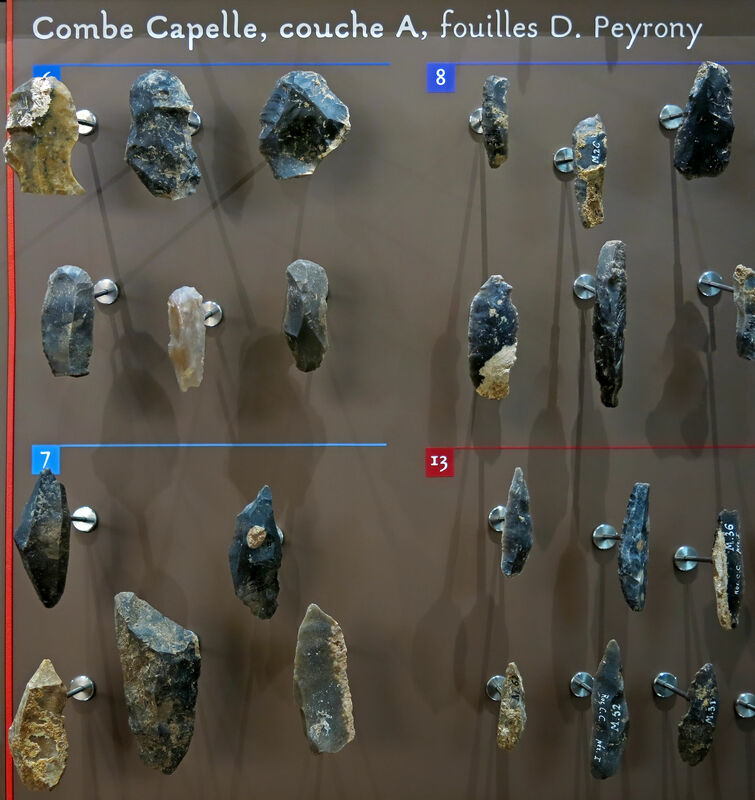 Combe-Capelle tools from Layer A, excavations of Denis Peyrony. Age circa 37 000 BP.